I’ve talked about how the global economy is moving toward a circular economy, as opposed to the linear economy of the past. This change is a great thing, but with it comes some challenges that your business may not be ready for. One area that many companies overlook is reverse logistics. What is reverse logistics, and how can they impact your business? Let’s take a closer look. Many businesses don’t want to focus on returns, but the reality is that, depending on the industry, retail products are being returned at a rate of between 4 and 6%. These returns can be taking away 3-5% of your annual revenue. In some industries, like publishing, returns of books and catalogues can reach as high as 20%. It’s easy to see why returns and reverse logistics are overlooked, but establishing a solid reverse logistics protocol can save your company a lot of money. The key is to determine the recovery value of the returns, and then to find the best way to recover as much of that value as possible. By now I’m sure you get the message: reverse logistics should be an important part of your business. In order to be effective, organizations need to be flexible and adapt to changes in market demands. The move to a circular economy means there are lots of changes to be made. Many companies are not satisfied with the way they handle their reverse logistics processes, but if they spend a little time to get it right they will see significant savings. Frankly, it might better suit some companies to outsource their reverse logistics needs rather than take on the task. Some of the things businesses should be looking at are new processes and procedures, having very robust inventory management capabilities with faster cycle times, and using appropriate KPIs to measure performance properly. 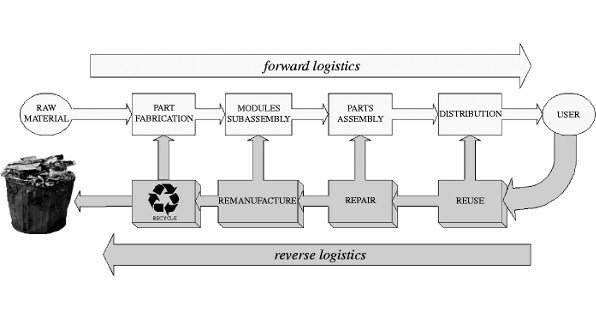 Estimated costs from a poorly managed reverse logistics process can average around 7 – 10% of the total cost of goods. Smart companies are paying attention and are trying to get their processes in line with what good looks like for their business. By paying attention to the global economy and understanding how it affects your business, you will be better prepared to implement new procedures and improve your bottom line.